Custom Made Windows & Doors Hamilton - Custom Direct Windows Inc.
With over sixteen years of experience in the Window business, Custom Direct offers competitive pricing for all of your home renovation needs. Our factory direct custom made windows and doors are personally designed with originality and uniqueness that customers treasure for years to come. Custom Direct Windows and Doors Ltd. manufactures custom windows and doors in the Hamilton and Etobicoke region. We provide installation services throughout the Hamilton, Etobicoke and Greater Toronto Area. Custom Direct is a doors a& window company committed to providing cost effective and energy efficient windows and doors which will ultimately add equity to your home. When you replace your old windows and doors with Energy Efficient windows and doors, you are saving on your heating and cooling bills. With these savings you can pay for the cost of the entire replacement and installation project. Call Custom Direct Windows Ltd. at 1-877-662-4440 and let us provide you with quality customer service, products and professionalism. 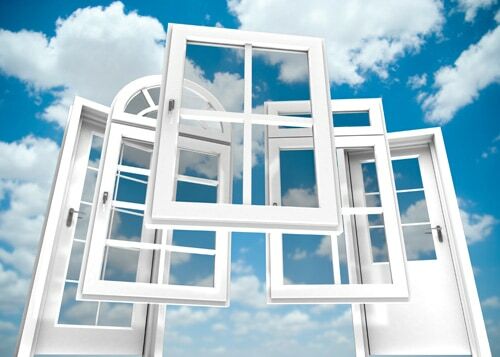 Custom Direct Windows Ltd. also recognizes the assurance of the ENERGY STAR® symbol and maintains the standards required to be a certified ENERGY STAR® participant. We manufacture and install windows and doors within the Etobicoke, Hamilton, Toronto and Mississauga area to offer the highest quality at a lower price. With over 16 years of industry knowledge and expertise, we offer products that exceed industry expectations. We use maintenence free Duratron Vinyl and Thermal Protection Low E glass for maximum energy efficiency. Locally manufacturing our windows and doors cuts our costs, reduces transportation emissions and allows us to sell direct at a lower price. Ask the right questions and address your specific concerns. Show you samples and photos of our energy-efficient products. Understand the features and benefits you want in your windows or doors. Explain the door & window installation process, so you know what to expect. Discuss any financing options you may be eligible for. Provide expert advice to help you select the right products for your home and budget. Give you a free quote for your new windows and doors, including expert door & window installation. No hassle. No pressure. No surprises. For more than 16 years, we have created quality custom made windows and doors designed with one purpose in mind – bringing your home added beauty and comfort. From start to finish, our commitment extends throughout every step of your replacement experience.